I can certainly put myself in Israel’s shoes. They are humans just like we are. They want peace and security inside their borders. Mahmoud Abbas is a Palestinian statesman. He has been the Chairman of the Palestine Liberation Organization since 11 November 2004 and has been President of the State of Palestine since 15 January 2005. 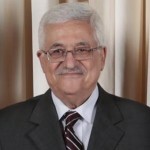 Abbas is a member of the Fatah party. Mahmoud Abbas was born in Safed in Galilee. His family fled to Syria during the 1948 Arab-Israeli War. Before going to Egypt Abbas graduated from the University of Damascus where he studied law.